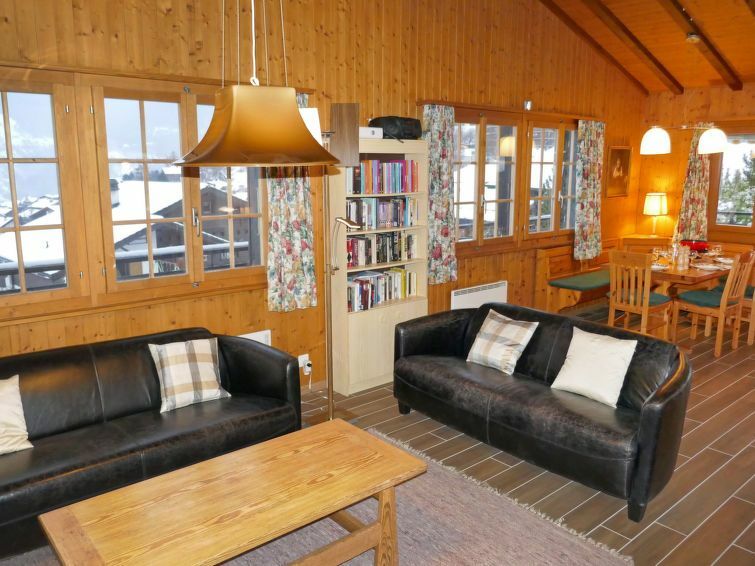 The chalet was well equipped and comfortable with great views of the Rhone valley. It was clean and has the living area upstairs with balconies on three sides and a large lawn to the rear. As a couple with a dog we had lots of room. The property would suit a family but not six adults in my opinion. I found the bath and shower rooms very dark as they were fully tiled in dark tiles at the rear of the property downstairs.